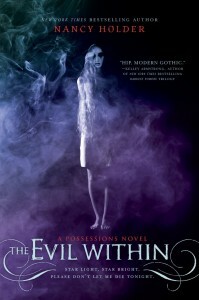 The Evil Within: “The book was written very well. It moved at the perfect pace and the author brought to life the character of Lindsay. She seemed to go through the correct emotions in the right spots of the story. It had an eerie feel to it that gave the right amount of suspense at just the right times. Having read this book, I immediately put the first book on my wishlist. I want to know what started everything in the series and I can’t wait to find out what happens next! A new to me author that I am glad I got to read!” – Amy J.